Spring Open Studio starts Saturday at the Digital Art Academy. 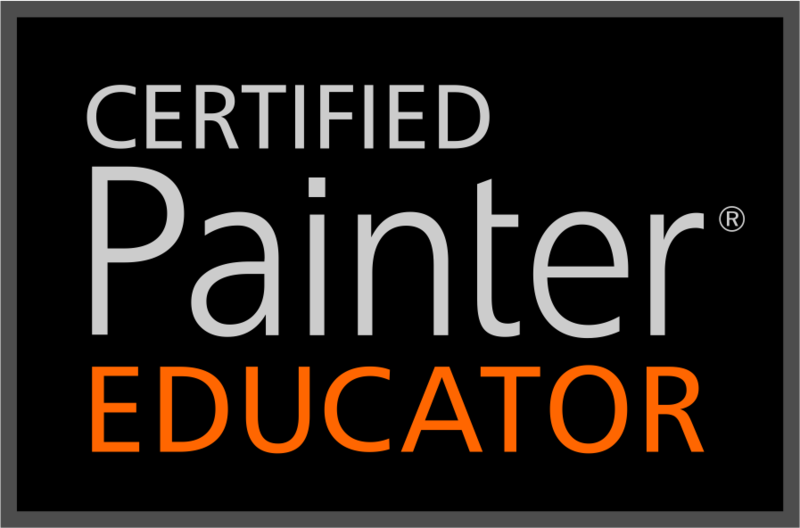 The instructor is Corel Painter Master Elite, Karen Bonaker, and the topic is Contemporary Japanese Ink Paintings. Registration closes Friday, March 27, 2015…so hurry and register before it is too late. The course will include a custom brush category, paper textures, overlays and reference materials. Karen provides video and PDFs, plus moderates and comments on all student work. I’m excited about anything that talks about watercolor in painter and this class focuses on it. Karen talks about flow maps, watercolors, selections, and demos tons of new brushes. Check out the following work by Karen. This is the type of work demonstrated in the class. I love that the images also have a Sumi-e feel to them. The textured backgrounds are wonderful. Of course I love anything with flowers. OK, I can’t stand it. I had to do a practice one. I used a new brush of mine and a texture overlay. Loads of fun, but I can’t wait to learn Karen’s new techniques. Don’t miss this class, Contemporary Japanese Ink Painting, at the Digital Art Academy. Registration closes Friday…hurry and register.